One of the struggles of being a home owner is creating a space where you and your houseguests feel welcome and comfortable. From the moment guests arrive, you want them to feel right at home. What is the first thing you want guests to see when they arrive?Is it the heirloom you cherish or those stinky shoes you just can’t throw away? 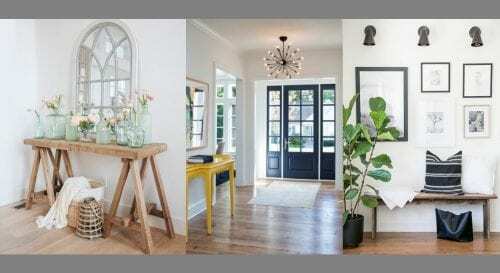 For too many, the entryway becomes an afterthought. This room should be the most important area in your home as it is the first visual impact anyone has walking through your door. Below are a few of my favorite looks on Pinterest. You can also find more ideas on our Pinterest page. Your floors can make a major impact when you walk into your home. 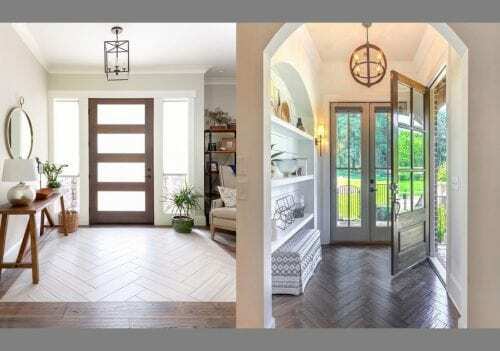 I love the combination of flooring and patterns in these two homes. Our Quick Shine® Multi-Surface Floor Finish would really bring the WOW Factor to these floors! 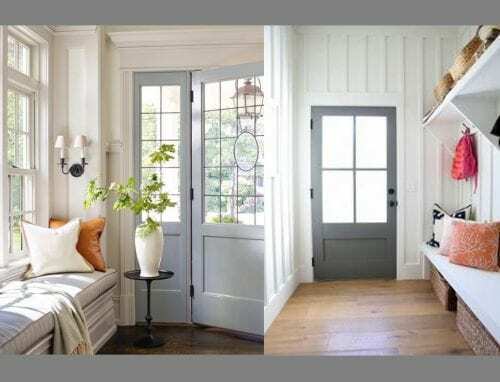 Depending on space, you can create seating options as a statement in your entryway. Here are two different takes from classic, to modern with storage, both options are pleasing to the eye and say a lot about your style. Entry tables are an easy way to display art and knick knacks that add color to your space. 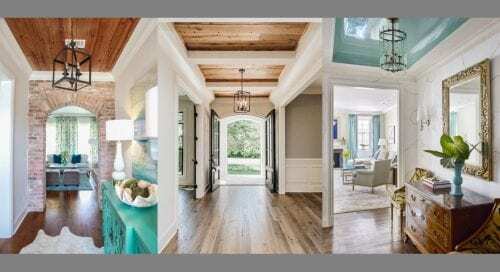 From wood ceilings to painted ceilings, these dramatic entryways create a major impact. Now that you have a plethora of ideas to recreate an inviting space, don’t forget to protect your floors. Clean and maintain your floors with our Quick Shine® Cleaners. Our Quick Shine® Spray Mop makes cleaning your heavy traffic areas a breeze. Protect from all seasons with our Quick Shine® Finishes for a long lasting, durable, shine. Our Quick Shine® Hardwood Floor Mop makes the perfect applicator for applying Quick Shine® or use dry to grab and lock dust, debris and pet hair.